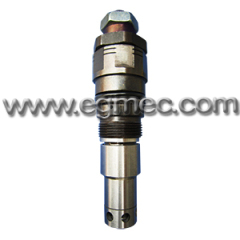 The pressure adjustment cartridge valve is for Kobelco SK230 Excavator machines, we also produce the series cartridge valves for SK100, SK120, SK200-1-2-3-4-5-6, SK330, SK330-6 series excavator machines. 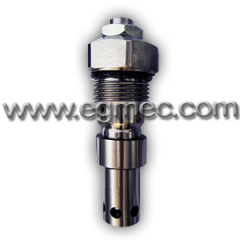 The Pressure adjustment cartridge valve is to adjust the system presetting pressure when the output pressure of the pump is increasing or decreasing while operation, keeping the normal operation pressure. 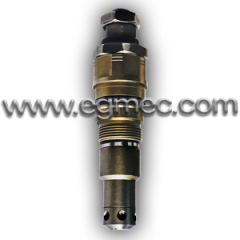 Group of Kobelco Excavator Pressure Cartridge Valves has been presented above, want more	Kobelco Excavator Pressure Cartridge Valves and Kobelco Excavator Pressure Cartridge Type Valves, Please Contact Us.